Thanks to all of our audience members who shared their picks. Congrats to all the winners. 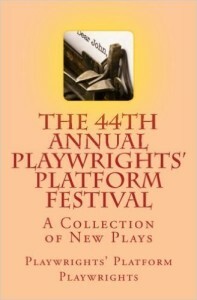 And to everyone who made this another terrific season of new plays with the Playwrights’ Platform! We are also excited to share the release of a new book, edited by Board Chair Hortense Gerardo, featuring nine of the plays from this year’s festival. Now available at Amazon.com.